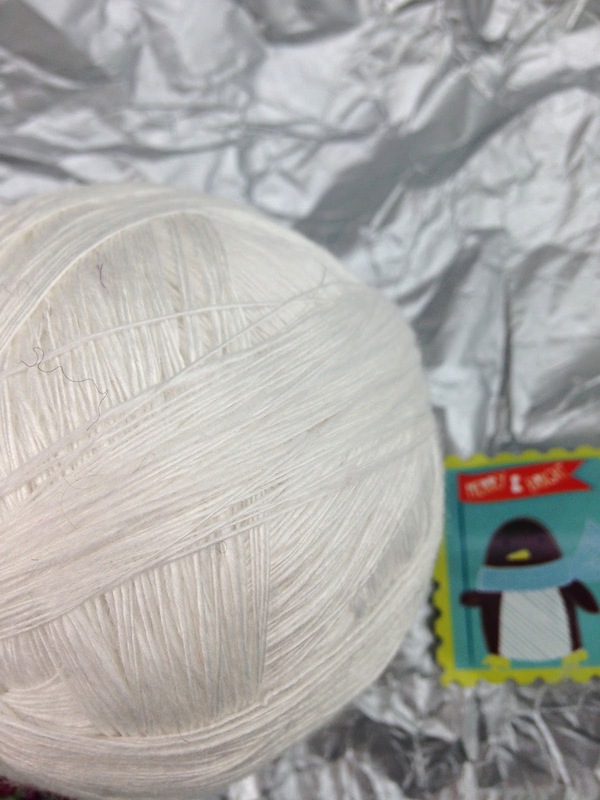 It's the time of year for Christmas parties, my Spinning Guild gives out gifts with strings attached! 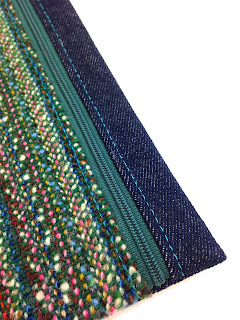 This year it is Pearl fibre - we have to return next year with some sort of transformation - for once I took on the challenge and spun it up straight away, it's singles at the moment but I might ply it with something sparkly. We popped down to The Big Smoke for a rather nice Christmas 'do' at Corrigans. 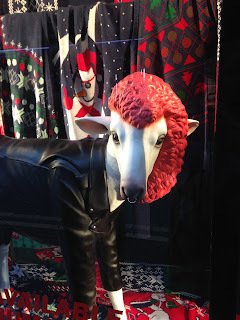 London's shop windows are very disappointing this year, even on Bond street which normally has a tonne of christmas glitz. 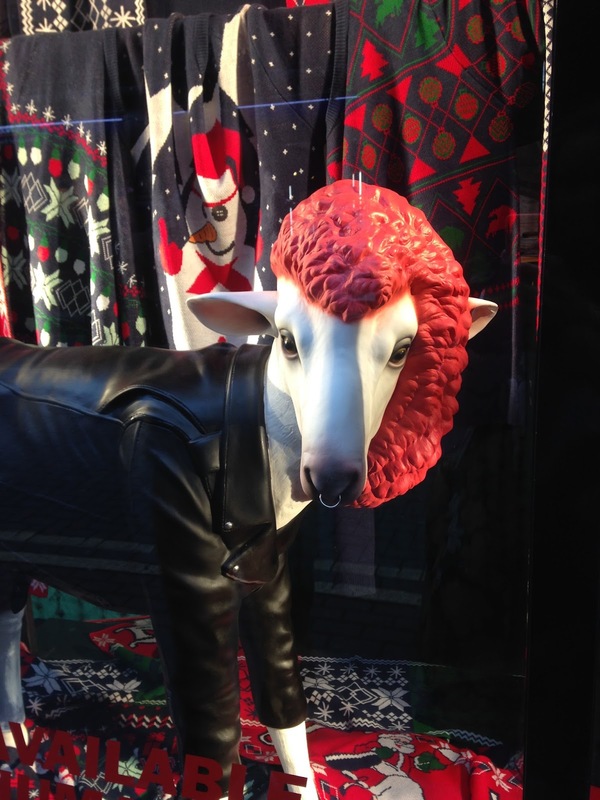 I found a few misappropriated punk sheep in a window full of acrylic. 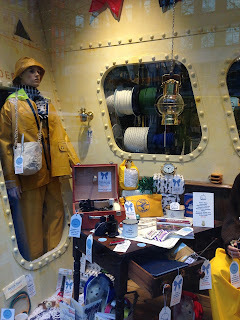 My favourite was Arthur Beale London's Yacht Chandler, I've never been into this shop before but always peruse the window - fabulous rope - but we were tempted and found such delights. 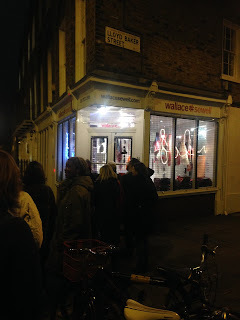 We rounded off a mammoth walking day - Euston, Covent Garden, Mayfair, Bloomsbury, Islington - by trotting up to the Wallace & Sewell sample sale, it did not disappoint . A smidge of work has been done though, a rather nice bit of hand woven now in the shop and some rather squidgy quiltiness.